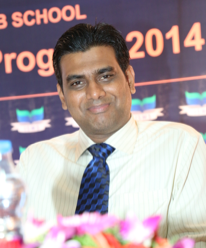 Prof. Vinod has International exposure and experience in the Industry and Educational field. 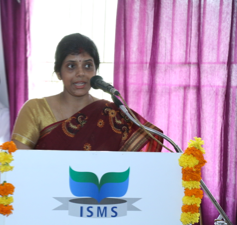 Held a number of academics related administrative postions before taking up the responsibility of ISMS Bangalore, as Managing Director in 2010. Worked with All India Management Association, New Delhi as Director Program CME and Head-Marketing from 2003-06. Was associated with University of Bradford, England as Dean for Undergraduate Business School program from 2000-03. Has worked as Vice President- Corporate Relations of Asia Pacific Institute, New Delhi, and has been Director at IBMR-Bangalore. In 2004, was Programme Director for Incompany Training and Dev program for Nicholas Piramal Ltd.Mumbai and Cadila Pharma, aimed at training & development of their field staff and First Line Managers. Has worked with Nicholas Piramal Group, Pepsi Inc., Cadilla, Saatchi & Saatchi & Hindustan Zinc Limited. Has written and published papers on various Branding environments and has consulting & specific expertise in Educational Brand management, information system design and general operations. 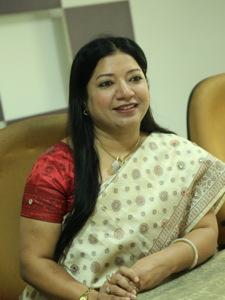 Prof. Sucharita has a blend of industry and academic experience.. During her tenure in corporate, she has worked with All India Management Association, New Delhi as Manager-CMD. She has corporate work experience in acclaimed British multinational company IMG. She was actively involved in media research of various brands like Rolex, Omega, IPL, Lakme Fashion show, and has carried out several International Research Projects of IMG Research. Few noteworthy are Rolex Media Exposure, Johnnie Walker Classic, BMW International Open. 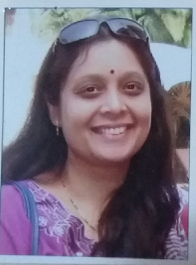 Prof. Rameesha. 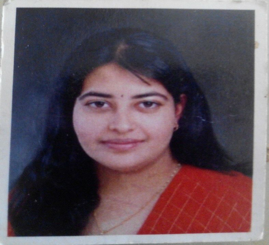 K is an MBA in Finance & HR from FMS, was a topper of the MBA program. She is also UGC (NET) qualified. 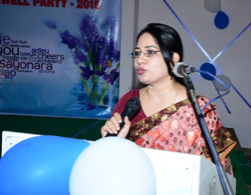 She is PhD and brings with her 13 years of corporate as well as teaching experience. Has published many Research Papers on Finance related topics. 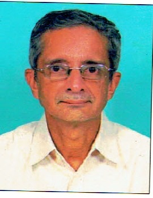 Prof. Rajiv has gathered 32 years of combined experience in Teaching, Corporate, Industrial and Functional areas. Production Engineering, Masters in Business Administration. Operations Research and Cost Analyst, Spare parts Management from NITTIE BOMBAY. ISO 9000 Certification Course, Diploma in Export Import from IIEM Is acquainted with Management experts of repute and acknowledged business executives. Member, Board of Studies, Honorary Treasurer of NKMA, Vice President of Rotary International, Member BMA, NIPM, IIMM and other professional bodies. He has a degree in Engineering from IIT Madras (1970) and Post-graduate Diploma in Management (known as MBA) from IIM Calcutta (1972). At IIT Madras I passed in first class with a percentage of 73.0%. At IIM Calcutta I got 7.22 cumulative grade point average out of a maximum of 9. His rank was 3rd out of a batch of 77 students. He was placed on the institute's roll of honour for excellence in academic performance. He owe this mainly to his high scores in quantitative subjects like Operations Research and Statistics. Anwita is a trained OD Specialist and a Behavior Skills Facilitator with about 12 years of industry experience in HRD. 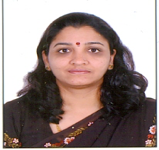 Her expertise lies in HR Development Interventions & Solution Implementation. Associated with companies like Astra Zeneca, Biocon, Aditya Birla Minacs, Vedanta Aluminium Limited, Oracle, RBI-Pune, Helpage India, BSI Group, Intervet, GMR Group. Prof. brings with him more than 10 + years of IT experience in domain of ERP, Data warehousing, Business Intelligence He has a perfect blend of corporate and teaching. Very passionate about his work. Recipient of awards from IBM India. Academic qualifications: MBA from University of Pennsylvania (IUP), USA. 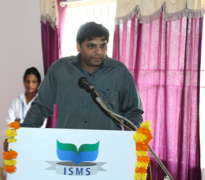 Pradeep is an MBA (HRM & International Competitiveness), Indiana University of Pennsylvania (IUP), USA. He brings with him more than 10 +years Experience which includes a good blend of Corporate and Teaching experience (in India as well as USA. He was awarded with Graduate Scholarship, Indiana University of Pennsylvania, USA. Also got The Best outgoing student award, Indiana University of Pennsylvania, USA. 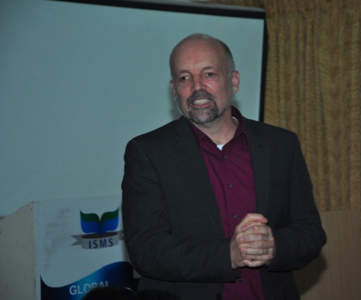 Prof. has almost two decades of experience in believes in experimenting new methods in teaching Handles subjects like Marketing management, Product and Brand management, Consumer behavior, Sales and Logistic Management,Entreprenuership. Prof. Preetha has have been involved in the field of education and training during her 19-year career in Bahrain which included positions of Languages Teacher at the Pakistan Urdu School, Faculty & Academic Coordinator at the Gulf Academy and Director – Academic Affairs at The Gulf Academy. 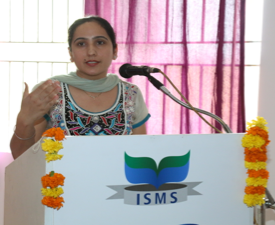 She is a Rank holder in Personnel Management & Industrial Relations - NMIMS, Mumbai. Prof. has almost 15 years of experience, she brings with her rich experience of corporate as well academics. Has worked with MNCs like Oracle India Pvt Ltd, was able to implement new trends in Finance successfully. 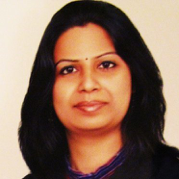 Prof. Malbika brings with her 12 years of rich experience in core areas of Marketing Management. She has Expertise in all Marketing specialization subjects. Academic qualifications: PGPM from Symbiosis Pune, ERP in Oracle HRM 11i from i2i. 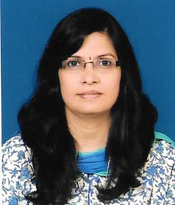 Prof. Shalini brings with her ten years of rich experience in core areas of Human Resource Development. She has Expertise in implementing HR Process and Systems, Extensive experience in Recruitment , Training, Retention and Performance Management. Wisdom has been a trainer for few years. 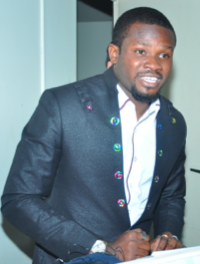 He is an eloquent speaker, passionate teacher and a consultant. His expertise is in the area of B. Pharmacy has written many papers in the same field. Brings with him a true sense of global culture in his class room. He ia Award for Excellence (FSTC) 2008.